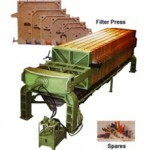 Filter press panels were introduced at the roll of the century and have been in the order of for many years. A filter press contains a sequence of plates with a filtering surface on both sides. 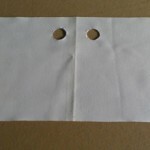 The plates are enclosed with a Filter press panels cloth. Numerous of these plates are pushed mutually to form chambers with adequate Filtration area for the application. Slurry is forced into the chamber. The press cloth allows the filtrate to go by through, watering the filter cake which gets formed on the press cloth. The cake is discharged by pulling the plates apart. This cycle then repeats itself. Filter presses are among the most multipurpose of all liquid/solid separation unit operations. They become accustomed easily to variations in feed concentrations, constituent part size and other substantial properties, delivering very dry cake and high solids capture with low chemical conditioning expenses. 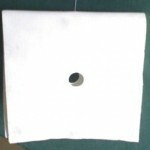 Amrit Filtration Equipment’s manufactures all styles of press cloths including drape-over, CGR, and cloths with connecting sleeves (butterfly types). 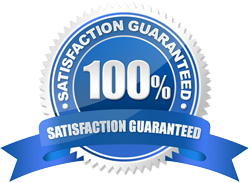 We provide head, tail, and intermediate press cloths in various medias and designs including plain cloths, and center and corner feed holes. 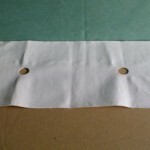 We also offer covering cloths in many different styles and configurations.